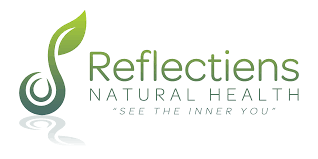 Reflectiens Natural Health is proud to be your exclusive source for complete comprehensive alternative health care in Ladysmith BC. Utilizing Iridology, Live Blood Analysis & Bio-Feedback, taking a holistic approach to help you discover your own unique health path. Iridology is the study of the colour, pigmentations, and structure of the eye. No two eyes are alike; each colour and marking has a unique meaning for each individual, marking the iris health is one of the best tools available to analyze which areas of the body are genetically strong and areas of potential weakness. Blood Analysis is a procedure that analyses your blood in live time, under a powerful Dark Field Microscope to ascertain information about aspects of your health. It is typically done in two parts, Live Blood Analysis and Dried Blood Analysis. Quantum Biofeedback is an assessment tool in which clients are able to improve their health by understanding the signals from their own bodies. The quantum biofeedback machine acts as a “6th sense” which allows the client to understand what’s happening within their body. Your very OWN Natural Health Practitioner! Have you always wanted your very own Natural Health Practitioner? Someone who can answer questions about YOUR health and what’s going in in YOUR body? Of course you do! Well, we have some great news. Your wait is over! Click here and get started!